Botswana: August is peak season here. It's a wonderful time to see highlights such as the Okavango Delta and Chobe. Wildlife viewing at this time can be extraordinary. Game is more concentrated around dwindling water holes or main water sources. It's a good month for wild dogs. Madagascar: It's peak season in Madagascar. A great time for all wildlife, though book in good time as there are limited good places to stay and they get quickly booked up for August. 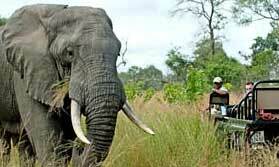 Malawi: This is a great time for wildlife viewing in parks such as Liwonde and Majete as it's dry. 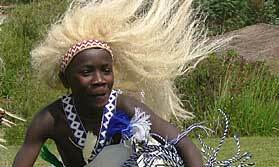 Rwanda & Uganda: Come and trek to see gorillas and chimps, as well as other wildlife and birdlife. 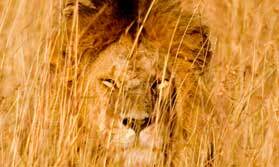 South Africa & Swaziland: August is a great time for spotting wildlife in Kruger. Days are dry and warm, evenings, nights and mornings are cold. 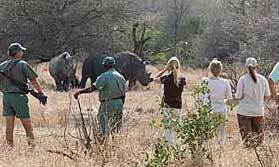 It's also a great time for wildlife viewing in KwaZulu Natal's Hluhluwe-Umfolozi, and Madikwe in the northwest. July and August are two of the best months for the Kalahari. In the Cape, near Hermanus, it's peak whale season. Tanzania & Kenya: The Serengeti, the Masai Mara, Amboseli, Selous … all these great East African reserves and more are at their peak from July to October. In August the wildebeest migration is in central and northern Serengeti, Tanzania, and in Kenya's Masai Mara. Zambia: South Luangwa, Kafue, Lower Zambezi and all the excellent reserves here are in peak season for superb wildlife viewing from July to roughly the end of October. The Busanga swamps in Kafue are accessible now. Brazil: July and August are great months for spotting wild jaguars in the Pantanal (June to October). Combine the Pantanal with the Amazon for an incredible wildlife experience. Good time for hyacinth macaws, and even maned wolves in a particular camp. August to October is also peak season for southern right whales in Santa Catarina. Costa Rica: It can be quite wet in August, but it's still great for wildlife. From July to October in Tortuguero turtles come ashore to lay eggs. 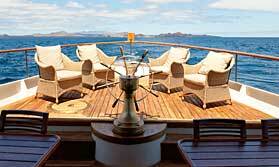 Ecuador & Galapagos Islands: The Galapagos Islands offer a year-round wildlife spectacle which is hard to beat. July and August are drier and cooler, lovely months to visit unless you get seasick as it can be a bit windy. Fur seals are mating and sea lion pups being born. Combine this with time to explore the mainland to see the wildlife of the Amazonian rainforest (even though it can be wet now) plus the Andean regions with Andean markets and haciendas. 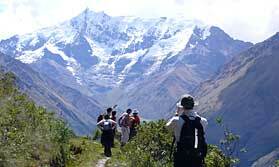 Peru: August is a generally good month for most experiences in Peru. The claylicks in the rainforest are attracting parrots, macaws and parakeets in good numbers from August to October. August is one of the very best months for Botswana. Madagascar wildlife viewing is excellent now. Malawi offers some good wildlife and beach holidays. Rwanda and Uganda are great for gorilla and chimp trekking as well as general wildlife. The Kruger and other amazing reserves are great in August. Tanzania and Kenya's highlights such as the Serengeti, Masai Mara, and Selous are all at their peak from July until about October. Zambia for unbeatable wildlife viewing in stunning landscapes. Wildlife viewing in the Pantanal and Amazon is great in August, especially for jaguars. Don't discount Costa Rica, even though it's rainy. Madagascar: The tropical beaches of Nosy Be and other areas are definitely worth considering. Malawi: How about a vast African lake instead of the coast? Lake Malawi is a wonderful place to relax and enjoy watersports, and can be combined with wildlife and walking. 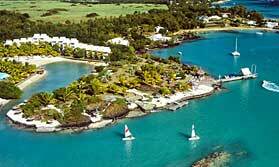 Mauritius: Mauritius is good most of the year, with May to December being the best months. July and August are the cooler months but it's still in the mid 20°s. Excellent beaches and many superb hotels. 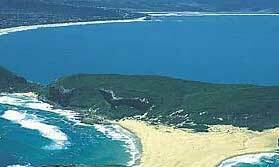 Mozambique: The beaches of Bazaruto archipelago and the Quirimbas Archipelago as well as the mainland are all good now. July and August are two of the cooler months, but not by much. Brazil: August is a popular month to visit the beaches of Salvador and the north east. Mozambique's Bazaruto or Quirimbas Archipelagos are gorgeous. Maybe consider Quirimbas island hopping. South Africa's east coast region of KwaZulu Natal is excellent now. 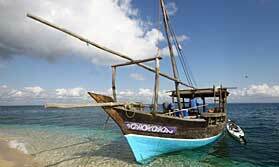 Try Zanzibar or another of Tanzania's small Indian Ocean islands. 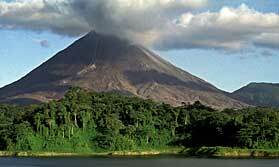 Ecuador: Ecuador is good all year, though August is a little rainier than other months. 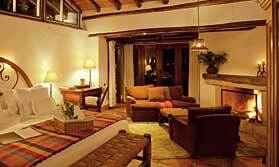 Visit Indian markets and colonial cities such as Cuenca, or hike in the Andes or take in the Galapagos. Waters are receding, but Victoria Falls is always impressive. Consider some hiking in Madagascar.